Mia Bella's candles are like a gourmet candle in a pre-packaged world! Superior in scent and longevity. 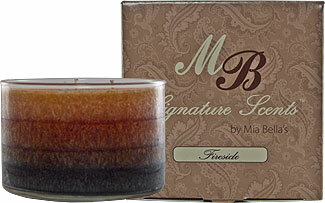 Mia Bella candles are made from 100% all natural palm wax which never harms the palm tree. It burns completely and without soot. I love the clean burn of the candle and don't have the worries of fumes that I have with petroleum wax candles. You know the black soot I mean that drifts up your wall next to your burning candle. That doesn't happen with these candles, nor does it leave soot on the candle jar either. Palm is an environmentally friendly wax that is fully biodegradable. This photo is of my candle after burning it for 3 separate days, no soot at all. 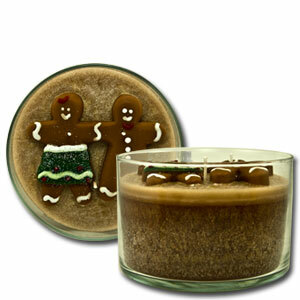 The candle has a strong scent that lasts through to the end of the candle, important when you are purchasing candles. You would hate for the scent to be there just for a few hours and then burn a useless candle afterward. This candle smelled so good I was able to just set it on the mantle, unlit and could smell the yummy apple pie scent. I was fearful my family would come home expecting a real apple pie in the oven! As with any candle, trimming the wick is very important. It will not burn down with the candle and needs to be trimmed to maintain a good level of heat for the candle to burn effectively. Trim your wick to be no more than 1/4 inch for longevity of your candle. Over 50 scents triple scented candle scents! What would be your favorite? 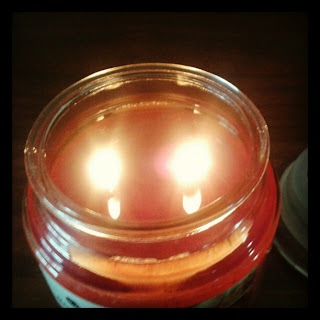 I love to burn candles in the fall and those scents that remind me of the crisp fall nights are typically my favorite. I reviewed Apple Pie and it smelled absolutely fantastic. No false scent like you get in 'cheap' candles. You know the kind of scent that makes you cough when you smell it. These candles have a great aroma. They have the classic collection where you find your basic scents that you find in candles, placed in glass jars. 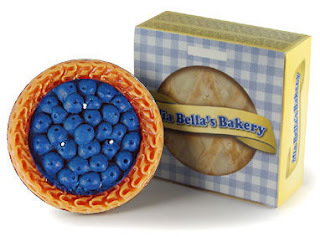 The Bakery Collection has candles in the shape of your favorite pies or rolls. Enjoy perfumes or the feeling of a day spa? Then the Designer Collection is the choice for you! I found the Wine Collection to be unique with it's Merlot and Riesling wine scents among others. Newly out is the Holiday Signature Collection with scents like Holiday Wreath, Hearth and Home, and Gingerbread. Love the visual gingerbread men on top!! What a great gift idea. I have my eye on this Fireside candle! Sounds like a perfect candle for those crisp fall evenings. Want to win Mia Bella Candles??? 1 winner, 4 scented candles!! Scent-Sations with surprise you with the scent selection, and you will have 4 great 9 oz candles to warm your home this fall! Follow rafflecopter for entries. They will be verified. 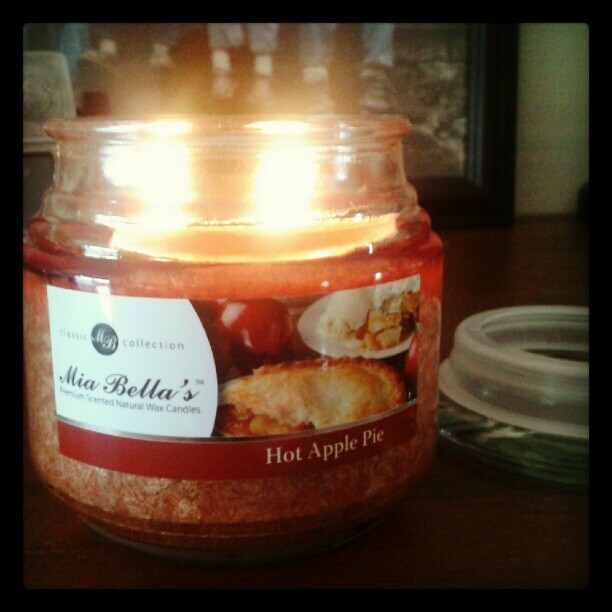 The apple pie candle sounds awesome! I would like to try the Apple Cinnamon. Thanks for the giveaway. Love candles! Looking forward to trying yours! Apple Pie, Mulberry Spice, Pumpkin Cheesecake, I could go on forever- I love fall scents! Creme Brulee and Apple Cinnamon. Candy Cane sounds the best!! Creme Brulee and Candy Cane sound good to me. I would like the Apple Cinnamon sent. Any candle with cinnamon is great. Apple cinnamon or cinnamon raisin bun! cucumber melon is perfect for EVERY season! Pumpkin Spice, without a question!! Hot Apple Pie sounds lovely! I love peppermint so...Candy Cane. The Fireside one sounds great too. And I love the colors. Cinnamon Raisin Bun sounds delicious! These sound the best to me. The Fireside sounds wonderful... I just moved and my new "Old" house doesn't have a fireplace like my last home...:( I'm going to miss it!! Snow Place Like Home sounds like it would smell awesome! I like the Pumpkin Spice scent. Home for Christmas sounds wonderful! I like Banana Nut Bread. If that candle smells as good as it looks, it'll be awesome!!! Whoops...apple cinnamon sounds good for fall!